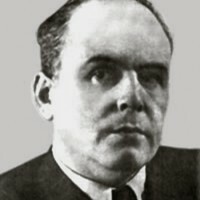 Jakub Berman (December 26, 1901, in Warsaw, then Russian Empire – April 10, 1984), was a Polish communist politician. As a member of the Polish United Workers’ Party’s Politburo he was in charge of State Security Services (Urząd Bezpieczeństwa) and considered Joseph Stalin’s right hand in the People’s Republic of Poland between 1944 and 1953. He received a Law degree in 1925 from the Warsaw University, and was an assistant to Marxist sociologist Prof. Ludwik Krzywicki. He was working on the doctoral thesis but was never to finish it. Member of the Communist Youth Union and from 1928 Communist Party of Poland. After the break out of the Polish-German-Soviet War in September 1939, he fled to the Soviet Union-occupied eastern part of Poland, first to Białystok, and in the spring of 1941 to Minsk. There, worked as an editor at Sztandar Wolności (The Banner of Freedom), the Polish-language organ of the Belarusian Communist Party. After the German invasion of the Soviet Union in 1941, he escaped to Moscow and later became an instructor at the Comintern school in the city of Ufa, southeast of Kuibyshev, training activists who would form a new party for Polish communists the Polish Workers’ Party. In December 1943 he met with Joseph Stalin at the Kremlin, gained his trust and became a prominent figure among Polish communists in the Soviet Union. In 1944 Berman became Politbiuro member of the communist Polish Workers’ Party. 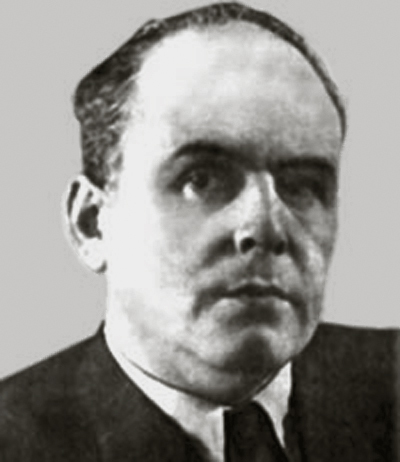 Upon his return to Poland in 1944, he, together with Bolesław Bierut and the economist Hilary Minc, formed a triumvirate of Stalinist leaders in postwar Poland. Between 1944–1956 Berman was a member of Politbiuro of Polish United Workers’ Party (PUWP) responsible for Urząd Bezpieczeństwa (State Security Services), propaganda, and ideology. In this capacity he was directly responsible for Stalinist-type terror and repressions against real and imagined political opponents of the communist regime in Poland. Urząd Bezpieczeństwa prosecution of ex-Home Army members, Roman Catholic Church clergy, and purges in the military, resulted in at least 6,000 death sentences, imprisonment and prosecuction of estimated 500,000 Polish patriots.